Nike have just revealed a new model of their Air VaporMax Plus silhouette for the Spring/Summer 2018 season. 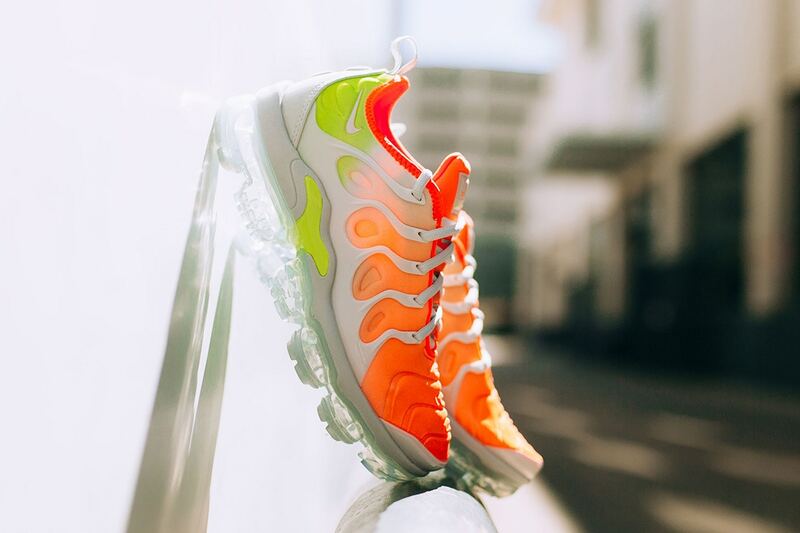 The silhouette’s latest makeover is a “Reverse Sunset” gradient colorway and finds shades of neon yellow splashed on the heel which transitions into deep orange tones at the tongue. The sneak is equipped with crisp white overlays and transparent soles. Dope or Trash?